Apple Has Issues; Should Pros Look Beyond the Mac? Apple recently released new MacBook Pros that offer a fair performance gain versus last year’s models, but have glaring issues that will leave some wondering if Apple’s laptops are still for ‘pros’ at all. We won’t re-litigate the spec sheet, which is impressive. But there are some fair points being raised in the wake of the launch. The first is the new keyboard; Apple framed it as quieter, though we (like many others) assume it’s actually a solution for the fussy butterfly mechanism supporting the keys. Logically, when you need to have a 2016 or 2017 MacBook Pro’s keyboard replaced, the latest version of that keyboard hardware should be used. 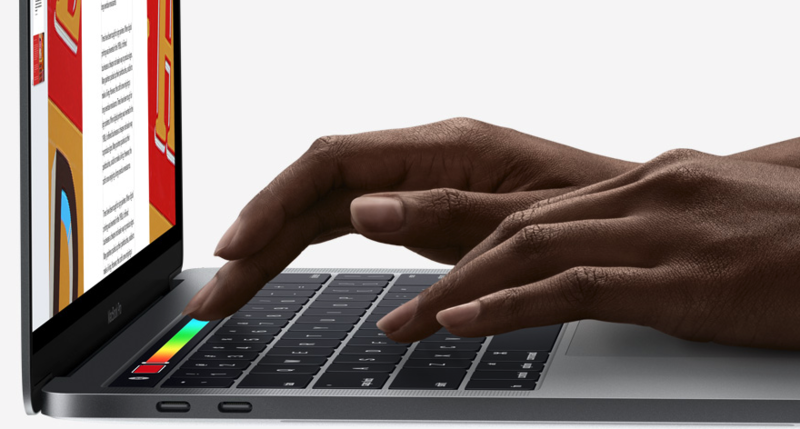 But AppleInsider reports the new keyboards will not be used in older devices, and speculates it has to do with how the new keyboard is actually attached to the MacBook Pro case. (The hardware hackers at iFixIt, who have covered the new keyboard extensively, make no mention of a new scheme for attaching the keyboard to the case.) MacRumors sources provided it with internal repair documentation proving the new keyboard was specifically designed to thwart debris. Perhaps more troubling than keyboard repair is news that the flashy, top-end i9 CPU on the 2018 15-inch MacBook Pro can’t (or won’t) perform as described. While benchmark scores remain high, those provide a snapshot of a CPU’s performance. Under load, the i9 doesn’t appear to be able to maintain its baseline 2.9GHz clock speeds. Apple’s thermal issues aren’t new. For example, it’s been cited as the reason we’ve not seen a new Mac Pro in years, much less an update. In that case, the Mac Pro’s ‘trashcan’ design created significant thermal problems, and caused many professionals to avoid it. With regard to thermal overload, another theory is that Apple relied on Intel a bit too much (again). The 2018 MacBook Pro is the same chassis as the 2017 and 2016 models, which some think Apple designed with a smaller Intel CPU in mind. A smaller chipset means less heat. If true, this is a huge swing-and-a-miss from Apple. Lee isn’t the only one complaining that his MacBook Pro is lagging under heavy loads. The Apple subreddit has a long thread in which users lament their purchase of the i9 CPU, which buckles under duress – all the way down to 800MHz. Then there’s the Touch Bar, which Apple promotes as a productivity tool. Apple again angles it as a feature, and will not allow 15-inch MacBook Pros to be configured without one. Sadly, Touch Bar still isn’t found outside of the MacBook Pros. Apple offers no external keyboard with Touch Bar, ignoring that many (perhaps most) tech pros use an iMac or MacBook in clamshell or on a platform with an external keyboard. That reduces Touch Bar to a part-time productivity tool instead of a full-time hardware feature. Apple’s saving grace is macOS. Its operating system has a robust app ecosystem, and the favor of many tech pros. Mojave looks like a great update for the desktop, too. But macOS is being unraveled by hardware. Pro performance isn’t reliable, and Apple’s promoted productivity tools (such as Touch Bar) aren’t always available. If keyboard hardware fails, users have no assurance they’ll receive a keyboard replacement where the issue won’t occur again. Professionals have to produce, and Apple’s desktop hardware lineup isn’t making that easy of late. Workflow and performance are critical, and the fragmented landscape for its expensive hardware raises eyebrows, even though it hasn’t affected the company’s bottom line yet. Apple's New Mac Pro Arrives in 2019. Is It Meant for Tech Pros? I find this opinion pretty silly. Yes, Apple has some issues, which the will undoubtably fix. Microsoft windows has had issues since their inception and it doesn’t matter what hardware Windows runs on because each company (Dell, Lenovo, etc.) has hardware issues. Q: “My Dock stoped working.” A: “Update the Lenovo Drivers.” complete waste of time for Techs. The Mac Pro is still the most powerful Desktop Computer out there. The top Technology Companies use more Macs than PCs. Apple and their MacBooks aren’t going anywhere. My 2012 Macbook Pro is falling apart (keyboard, screen, bluetooth, battery…), so I’m looking to get a new laptop. Had a top of the line 2016 MacBook Pro and 2017 MacBook Pro at work as well and was not impressed with the touchbar and need for dongles for everything. Neither were any of my coworkers. And we’re all software developers on a small team of four. Two of the other guys had personal MBPros and they mentioned they had bluetooth and keyboard issues as well. The Dell XPS and Asus ZenBooks are looking pretty good compared to the new MBPro. I can throw XUbuntu or possibly turn it into a Hackintosh and not have to wait for Tim to get his act together. However, if I need a $4000 panini grill, the MBPro looks promising.